Fraud Investigation / Forensic Audits - O'Connor & Drew P.C. 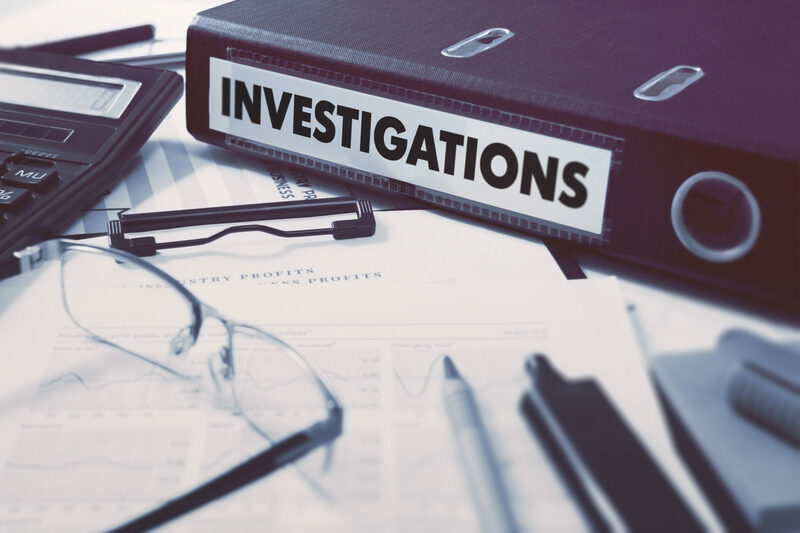 We can perform a fraud investigation for any business owner that becomes aware or suspects the possibility of a potential misappropriation of assets within the organization. Due to our many years of experience in the automobile dealership industry, we have a more acute awareness of the various types of fraud that often impacts auto dealers in virtually every department of a dealership. One of the best methods of fraud prevention and detection is a strong internal control environment. However, most dealers do not have the time or resources to inspect what they expect. Our internal audit modules accomplish that goal for the dealer. Audit Modules are detailed modules that document and test the controls of fixed operations (e.g. : parts, service and body shop) within an automobile dealership. It is truly beneficial for those multi-point dealerships, and dealerships with absentee owners who do not have a full-time internal auditor. In essence, we become your internal auditor (for a substantially lower cost). Audit Modules are detailed modules that document and test the controls of fixed operations (e.g. : parts, service and body shop) within an automobile dealership. Additionally, it analyzes operating procedures to help increase profitability. It is truly beneficial for those multi-point dealerships, and dealerships with absentee owners who do not have a full-time internal auditor. In essence, we become your internal auditor (for a substantially lower cost). Cash is king…but who’s got the keys to the castle? The answer often is – your accounting office. Without the proper control in place, the dealer is exposed to cash theft. Our cash audit service not only analyzes the controls surrounding cash but also performs detailed tests of the internal controls surrounding the cash receipting and disbursement functions. We take one to two days to perform a specialized analysis focusing on the dealership’s areas of exposure in the parts, service and accounting departments. This service can be offered for either an individual department or multiple departments. The Federal Trade Commission has instituted many rules and regulations onto finance and insurance offices increasing the pressure for dealers to generate even more profits. We can analyze the sales dealer jacket to alert dealers to their strengths and weaknesses and avoid major compliance risks. The parts inventory reconciliation is a great tool to help identify control weaknesses in the parts department. We provide dealerships with training for key personnel (e.g. : office manager, controller, parts manager, etc.) on the proper procedures to reconcile the parts inventory on a monthly basis. The majority of states have passed a warranty parts law requiring automotive manufacturers to reimburse dealers retail rates for warranty labor and parts. Most automotive manufacturers reimburse dealers for warranty parts at a rate of cost, plus 40% which differs from the average dealer who marks up retail parts at cost, plus 70% to 90%. The impact it will have on the dealership’s bottom line will vary based on the markup percentage of retail parts and the volume of warranty part sales they generate. On average, it should add thousands of dollars of gross profit per month for a dealership. O’Connor & Drew, P.C. has assisted hundreds of dealers in various states, including Massachusetts, in obtaining retail rate reimbursement for warranty parts under the old law. This includes virtually all franchises. Because of our extensive experience and knowledge on this issue, we have a solid understanding of the process and the parts that each automotive manufacturer will accept as qualifying. Dealers should submit for a rate increase as soon as possible in order to start capitalizing on the additional revenue. If you would like additional information and the easy steps you can take, please call Frank O’Brien, CPA, CIA, CFE at (617) 471-1120.